-To share with the world the beauty and wonders of Korea. -To create a seamless reader experience through an interface devoid of clutter. -To act as a cohesive medium for the exchange of ideas between the Korean and international community. Planning the perfect trip to Seoul? Traveling to an unfamiliar city may be nerve-wracking but picking the right location to stay is a great place to start. From Buddhist temples, shopping, to nightlife, each area of Seoul caters to a different kind of crowd and offers its own unique scene and vibe. Adventurers in particular may enjoy staying at hostels instead of hotels not only because of the value, but also since it’s a terrific way to meet people from around the world and establish deep friendships. You may actually end up learning quite a bit about yourself during the process! To help start you off in making your trip a memorable one, we have expertly curated a list of the best guest houses in Seoul that covers different areas and also gives some advice on things to do. Additionally, for first-timers here you may want to check out our Dos and Don’ts when traveling to Seoul. Kimchee Gue st House is located in Nonhyeon-dong (with branches in most other areas) which is a perfect spot for those of you wanting to explore the upscale areas of Seoul such as Apgujeong, Sinsa, and Cheongdahm. Although the rooms may be smaller than other guesthouses, Kimchee Guest House is known for its cleanliness and quality service. There are so many great places to eat out around Gangnam but make sure you use the kitchen if you’re on a budget and cook up a home meal to enjoy with your fellow travelers! The staff members are always available for assistance and you can depend on them to recommend great local restaurants and bars (just don’t tell them they should charge for their concierge-type services!). There is of course complimentary breakfast items, but don’t expect it to carry you past lunch. Hostel KW Sinsa is on our list of the best guest houses in Seoul because it provides a cozy private-stay experience at a reasonable price. With its convenient location in Gangnam, the hostel provides easy access to many of the city’s must-see destinations such as Bongeunsa temple and Coex mall/aquarium. There are 15 rooms that are spread over 4 floors and it offers a warm and pleasant home-away-from-home vibe. The hostel’s host organizes a variety of recreational activities during the day and night to ensure that you also have plenty to do during your stay! On a side note, many people stay here and at other hostels in Gangnam for medical tourism, nightlife, gambling, or high-end shopping so of course inexpensive accommodation is a huge way to mitigate the costs. Big John’s in Gangnam is widely praisedfor its ideal location in addition to one of the best hosting experiences. John’s warm and fuzzy personality really separates this place from other hostels around Seoul and guests are ask to treat his place as if it were your own home. Big John speaks Korean, English and Japanese, and his staff can also speak Mandarin and French, so no matter where you’re from communication will probably not be an issue! The kitchen is frequently stocked with fruits, yogurt, cereal, milk, eggs, and some ramen and it provides all the amenities an ideal hostel should. There is a wide variety of rooms to choose from to accommodate different parties ranging from family to dormitory. The jacuzzi, balcony, Wii, Playstation 4, and open kitchen makes it feel like you’re staying at that cool friend’s house, but the rooms are actually quite classy and the beds are super comfortable! One caveat is if you’re a light sleeper, be sure to secure a room on the second floor as the first can have a lot of activity in the morning. Seoul I Guesthouse is unbelievably clean and well-maintained, the staff speaks English perfectly, and they are just so kind and helpful in general. The Guesthouse is located in a really convenient pla ce and close to all the food, shopping, and transportation methods. Seoul I Guest House has single rooms and also shared rooms where you can bunk with your travel companions or other visitors. The rooms are compact and the interiors even have some traditional Korean influences. Hongdae is college town so there are so manyrestaurants, bars, and coffee shops to choose from but the staff will recommend you the right place for your tastes. It is one of the liveliest and hippest locations in Seoul and there is no better way to enjoy it than with your fellow travelers. This guest house is literally less than a 1 minute walk from Hongdae subway station exit 1. You’ll probably find yourself appreciating this the most after a long day of sightseeing, shopping, partying, or even hauling luggage from traveling. Perfect for small to large groups, the accommodations are roomy, comfortable, and you even get a nice view by being on the 19th floor. Rooms range from family style with 2 beds to a loft with up to 8 beds that includes some basic lounge furniture. This guest house is suitable for more privacy as well since there are dedicated bathrooms for each room and a small kitchen for larger rooms. Some nice finishing touches are that the owner brings some breakfast items in the mornings to your door and you can even rent a wifi egg for 3,000 won a day. K-Pop Guesthouse is located in an excellent location away from the noisy college town of Hongdae, but close enough to prowl around at night if you’re in a party mood. As the name suggests, it’s a very hip hostel and they play the best K-pop jams 24/7! It is very close to the Seoul Station which makes it an ideal location in the city. The rooms are minimal and so is the decor. They are available all the time and they made themselves extremely approachable for guests to come by and have a pleasant conversation. The public bathrooms are clean but the shower is only divided by a curtain so it may make you slightly uncomfortable. This location is close to Myeongdong and Gwanghwamun making it a breeze to get your shopping on, or visit touristy areas like Gyeongbokgung, Samcheongdong, andInsadong. Many travelers prefer K-Pop Guesthouse because it is recognized for its well decorated interior. As the name suggests, this is a perfect place for backpackers visiting Korea! The common room is cozy and perfect for guests to mingle and get to know each other better. Itaewon is a pricey suburb to eat and drink at as many foreigners and tourists come to explore this international hub in Seoul. The hosts, Mia and Min, do a great job taking care of their guests like one of their own. To what extent? They are known for even sharing their delicious homemade dinner with some of their guests! There are lots of nice little restaurants to eat at close to the hostel, and you’ll find some of the best foreign food in Seoul nearby. The hostel is clean and tidy with a really good atmosphere. SP@Itaewon is one of the best places if you are into foreigner-friendly nightlife. The streets of Itaewon are extremely lively and full of people from different parts of the world. The neighborhood is slightly pricey but Itaewon has many different types of food if your tired of eating Korean food everyday during your trip! Here are some things to do in Itaewon and also near the area. If your interested in art, Leeum Samsung Museum of Art is a great place to visit in Itaewon. Californian to the bone. 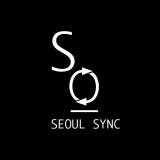 Currently studying at NYU and working as an intern at SeoulSync! Surfer, foodie and dog lover. We are a web publication born from those who wish to enhance their lives in Korea. By pooling our resources together we aspire to be the most interactive and balanced source of travel, news, and media found within Korea. As we grow together with our reader base, we hope that SeoulSync will help bridge the gap between the domestic and foreign communities.